This year the air festival was being held in its usual late August slot from Thursday 18th to Sunday 21st and was our fourth year for capturing this award winning event in the UK. Our brief is to capture not only the air displays but also the activities and engagement of the crowds that come along with it. The Royal Navy, Army, RAF and various other partners / sponsors all play a prominent role in bringing the air festival to life both on the ground and in the air. We’re extremely proud to have worked on this campaign for the Bournemouth Coastal BID. Our hometown of Bournemouth is much more than a one season wonder. There is so much to see and do whatever the date or occasion - whether for business or pleasure. Our task was to develop a video for the Autumn 2016 campaign with the brief based around the five senses. Working with digital marketing agency Keeping&Co we proposed a scene for each sense and selected 5 different locations / venues in Bournemouth to represent them individually. In each scene we needed some sensational people to bring the senses to life and so with the help of our logistics coordinator Dominique Wallace, we turned to All Eyes On You, a local modelling agency. After two successful days shooting on location and all of the post production that followed we’re delighted to see the campaign live. The video has an interaction layer added to it which encourages the viewer to click or tap when they see a reference to the sense. It then works out how sensual you are and awards you with a sense character! Take a look at www.bournemouth.co.uk/senses and try it out for yourself. We also want to give a big shout out and thank you to the participating Bournemouth venues the Oceanarium, Canvas and Urban Reef. We often get asked what the process involves for producing product videos, but the truth is there is never an ‘off the shelf’ method that we use. Some products are physical and tangible in the hands of the customer whereas others, like software and IT, are less so. Some will invoke a physical reaction when used and some are more about emotions and the experience you get from it. So one product video will be completely different to the next. Possibly one of our most unique clients for production demonstration videos is Marden Edwards, one of the world leaders in the design and manufacture of fold wrapping and packaging machinery. The videos we produce for their machines are pure demonstrations captured live. We use a variety of wide and close up shots to ensure we capture the machine as a whole as well as the key stages in the process such as folding and heat sealing, which are highlighting using text labels. We believe these types of videos go much further to what an animation or illustrative drawing can achieve as potential customers get to see a real demonstration of the product in action, which adds credibility and confidence in all of the marketing material that comes along with it. Below is a production photo of one of our latest Marden Edwards projects along with the finished video example. For more details about our product videos, whether like this one above or perhaps something different, please get in touch. This year we have partnered with The Big Green Event 2016, taking place on 20th September at the Hilton Ageas Bowl in Southampton. The event is aimed at any organisation looking to adopt or build on an existing greener strategy and take advantage of the financial benefits, streamlined processes and better staff engagement and support. The event will put aspiring businesses in front of those that have championed this approach. Plato Video are the official videographers of the event, capturing the indoor and outdoor displays, exhibitors, keynote speaker stage and workshops. We’ll also be capturing interviews and exhibiting our best work with the aim of meeting some new contacts looking to embrace the ever growing popularity of video. Flight in a 1940s Tiger Moth! On the 2nd and 3rd July 2016 myself and Harry attended the Flywheel Festival at Bicester Heritage in Oxfordshire, now in its 2nd year and organised by Historic Promotions. It features a variety of vintage cars and aircraft both as static attractions and displays to the paying public, with plenty on offer for all ages to enjoy. It was a fantastic event full of nostalgia with hopefully a bright and long future ahead of it. Our brief was to capture the event in its entirety and produce the official highlights video which we hope to have complete in the next few weeks. In the meantime here is a little taste of the event. Chris Thompson of Finest Hour Experiences spent most of the weekend offering pleasure flights and tuition in his Tiger Moth, originally built in 1940. Prior to the event Chris offered to give me a short flight in order to get some aerial shots of the festival. Remaining composed and not wanting to sound too excited, I gratefully accepted! Needless to say it was a brilliant experience from start to finish. As a thank you to Chris I’ve put together a short montage of some of the ground and air shots of the Tiger Moth. Some of these clips and more from Harry’s camera will hopefully feature in the final draft of the Flywheel highlights video. Back in the 60s when my dad first founded our business, there were little alternatives to using film when it came to capturing a wedding. The most popular grades of film at the time were Standard 8mm, Super 8mm, 9.5mm and 16mm. To give this some perspective, Hollywood movies that are shot on film will typically use 35mm, which gives them a superior quality to the lower grades. Today’s technology allows our professional cameras to take virtually endless amounts of video. If the memory card gets full, swapping it with a clean one takes a matter of seconds. In the 60s you would probably have at best about 4 minutes of film before it ran out and needed to be changed for a new reel. It was never a quick and pain free process! My dad remembers one particular wedding he was hired to capture. When the film needed changing he went to sit under a tree to start the ritual of skilfully changing the reels over inside a specially adapted black bag without exposing them to sunlight, thus ruining the footage. Once the new film reel was in place and the lid closed he continued with the job in hand, unaware that a spider had managed to hop inside with the film. You can probably imagine what the footage looked like after that. It was perhaps one of the world’s first official photo bombs! Today there are many ways in which we can relive and pay homage to film. Smartphones and tablets have access to a wide variety of apps that can apply filters to photos and give them a distinctive retro look. One of the most popular of these is Instagram, a photo based social media platform. In 2011 I joined the family business, Plato Video and set about the idea of reviving the art of using real cine film to capture weddings and tap in to that appeal of vintage. After all, how could I resist the collection of original cine film cameras that my dad had kept in the business inventory? The one I picked out is a Super 8mm camera made by Canon in 1979. After a quick clean up, a check over by our technician and a supply of 8 AA batteries I was up and running! Super 8 film is made popular by its simple ‘slot in and go’ system, much like how still film cameras used to operate before the era of digital photography. It’s also a much simpler process than what my dad had to endure under the tree! Surprisingly, Super 8 film is still widely available as it continues to be used by artists and enthusiasts around the world. The filters, effects and styles that digital programs can apply to videos to make them look retro are all in reference to the true nature of film and the way the image moves. It harks back to home movies made in the 60s and 70s when Super 8 was a popular choice. It’s that distinctive, charming and slightly grainy flicker that instantly gives it away. I’ve seen some great attempts at trying to apply film effects to video, but for me personally, nothing compares to the real thing. The first cine film I made funnily enough wasn’t of a wedding. On the 13th July 2012 the Olympic torch was passing through my hometown of Bournemouth, so in and amongst the crowds of people with their iPhones and tablets I was there with my Canon model 1014 making that distinctive whirring noise as the runners went passed. Committing footage to film is much more complex than doing it digitally. With the latter method, if you make a mistake or the video turns out to be duller than expected, you can just delete it. With film there’s no delete button and certainly no way of rewinding and wiping over it like videotape. Once it’s on the film, there’s no way of removing it. With only a little over 3 minutes of film in each Super 8 cartridge, I almost have to anticipate what’s about to happen before it happens. I guess it comes with experience of being a wedding videographer. The order of the day is very similar in each one I have worked at, so it gets easier to pick out when those little moments are likely to happen. Watching the footage back also has its complications. Unlike a digital camera where the footage can be watched back instantly, the film needs to travel some distance to a company that has the facilities to develop and then return it to me. This can take up to 2-3 weeks depending on workloads. Then there’s the nervous but highly rewarding moment where I get to watch the wedding footage back for the first time. I have the resources available in-house to then transfer the footage to a digital format so that the happy couple can play it on a DVD player or share online with friends and family. I guess this is the only part that lets down the experience of film, but I appreciate that not everyone will have a working Super 8 projector ready to roll at a moments notice. Since I launched my Vintage Wedding Films package I have had the pleasure of working at some prestigious locations through the recommendations of local wedding planners and venues including the likes of Lulworth Castle and Larmer Tree Gardens. I’m hoping to develop my package further by offering different grades of film and combining the experience with my modern / contemporary style alternative. For more details on the packages I offer please visit my Vintage Wedding Films page. Event videography is a fantastic and highly rewarding part of our job. Since 2013 when we produced our first official highlights montage for the awesome Bournemouth Air Festival, we have since worked with a number of high profile events, most notably the Bournemouth Wheels Festival, Dorset Plane Pull, Donington Historic Festival in the East Midlands and most recently the vintage themed Flywheel Festival in Oxfordshire. Event videos are a fantastic way of letting people know what’s on, either before an event, during or after. Our videos tend not only to show the action and displays that take place, but also the crowds and interaction / experience that comes along with it, and so it also serves as a highly useful took for attracting sponsors and media partners for a future event. We’re always looking for ways to improve our event videos and have a little fun with them at the same time, especially if we’ve worked with the same client the year before. Every event video we produce has a personal touch and a style that suits the theme and energy from the event. The editing style, effects and background music are all key ingredients to making this happen. There is never an easy ‘off the shelf’ template that works for us. 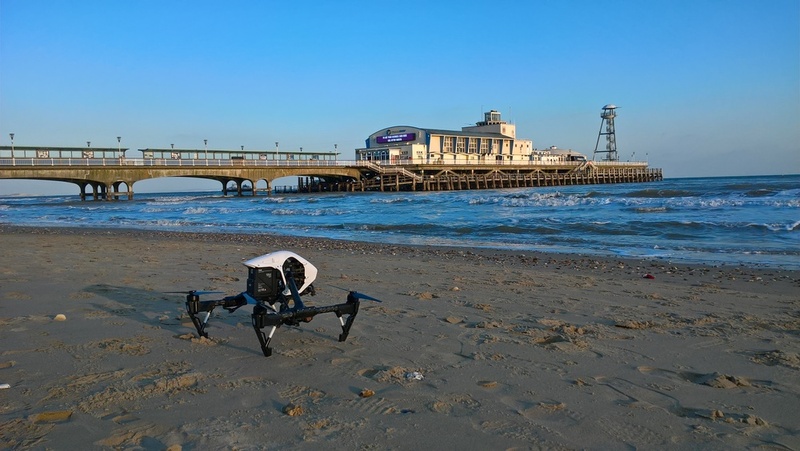 Last year at the 2015 Bournemouth Air Festival we stepped it up a gear and brought along our GoPro and selfie sticks. The idea was not just to show the event from an outsider's perspective, but introduce a layer that doesn’t normally get seen – the people that make it all happen. Throughout the four days of the festival we offered several key people the opportunity to take a video selfie of themselves at work, including the official media team, programme sellers, pilots, patrons, stall holders and even the Royal Navy! This allowed us to create a video that offered viewers a brief glimpse behind what makes the festival what it is – the best Tourism Event in the country. It’s true what they say about the Bournemouth Air Festival – it’s more than just an airshow! 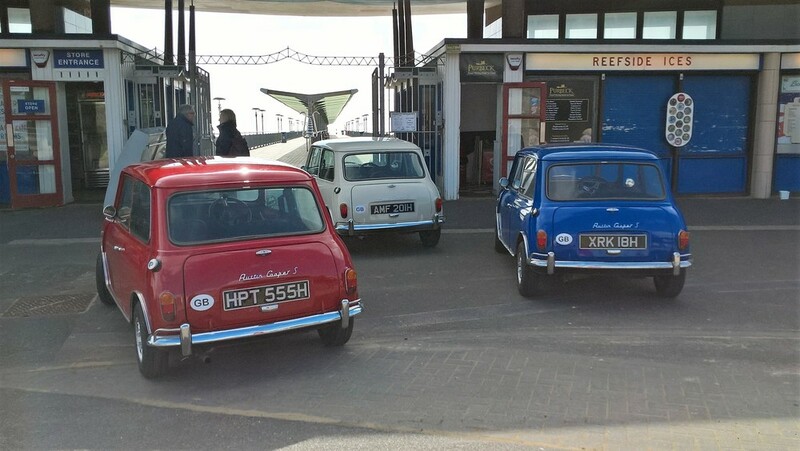 Earlier this year we produced the official promotional video content for the 2016 Bournemouth Wheels Festival – a viral campaign tribute to The Italian Job. 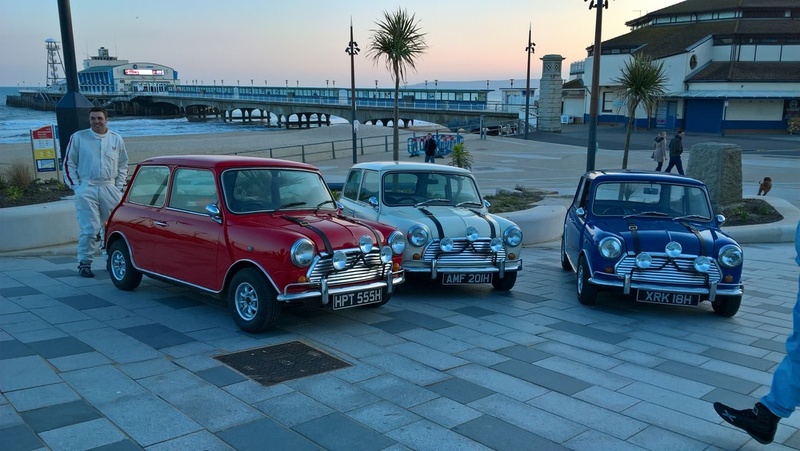 Well known for his precision driving stunts and live entertainment, Paul Swift and two of his fellow heist companions brought three classic Mini Coopers to Bournemouth to conduct a series of recces of our home town in advance of the festival. All of the above had to be complete in one day. We were on site from 6am and thanks largely to the weather that day and indeed to the skill and organisation of Paul's team and Bournemouth Council, we were all wrapped up around 12 hours later. An exhausting but thrilling day of work, the results of which are shown in the official video below along with a couple on site photos. The brief also required us to capture aerial photography of the action sequences and for this we hired Nick Stubbs, a professional video and aerial photographer based in Weymouth. We were absolutely delighted to work with Nick. The footage he captured of the Minis in their various locations was stunning and we would have no hesitation in recommending him or using his services again in the future. 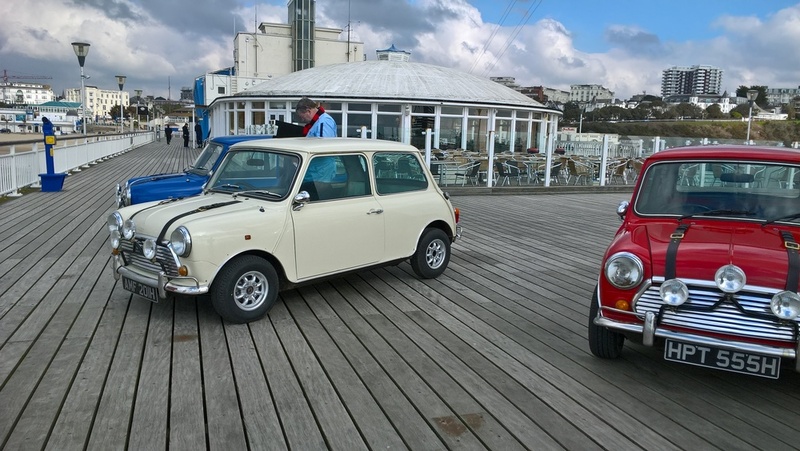 Our event style videography is a popular choice in our home town with the Bournemouth Wheels Festival and Bournemouth Air Festival. In 2016 and for the first time, Plato Video is now working beyond its home territory. At the end of April we worked at the Donington Historic Festival in the East Midlands and captured the action and surrounds of the event, and now we're gearing up for our debut at the Flywheel Festival at Bicester Heritage in Oxfordshire. We can't wait to get started and share our highlights footage! We’ve just completed our 3rd year working at the fantastic Bournemouth Wheels Festival. As official videographers we get to see every inch of the show from the small displays and collection of car clubs to the actioned packed thrills to be found in the monster truck arena and up on the demonstration straight where Paul Swift returned with his tribute to The Italian Job. We were on site for the 3 days of the festival’s duration. We’ve never tracked the mileage we clock up by foot but would be fascinated to know. It must be several miles between us. Now complete with several hours worth of footage, we’re almost done compiling our highlights montage which we’ll have up to share very soon! 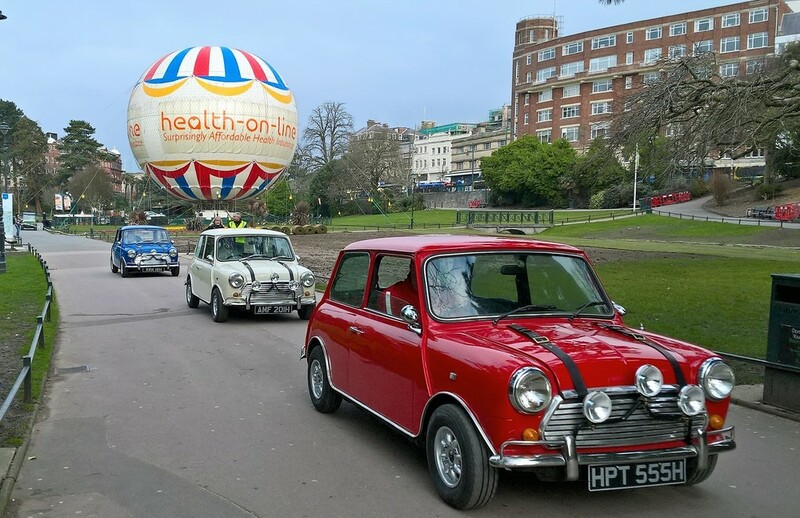 Bournemouth based video production company, Plato Video, has added two new festivals to its event portfolio for 2016, building on the success of producing the official highlights videos of both the Bournemouth Wheels Festival and Bournemouth Air Festival. The Donington Historic Festival in the East Midlands and the Flywheel Festival in Oxfordshire are the latest events to have commissioned Charles & Harry Fynn from Plato Video to produce their official video content. The Donington Historic Festival runs from Saturday 30th April until Monday 2nd May 2016 and the Flywheel Festival operates on Saturday 2nd July and Sunday 3rd July 2016. Both are ticketed events. 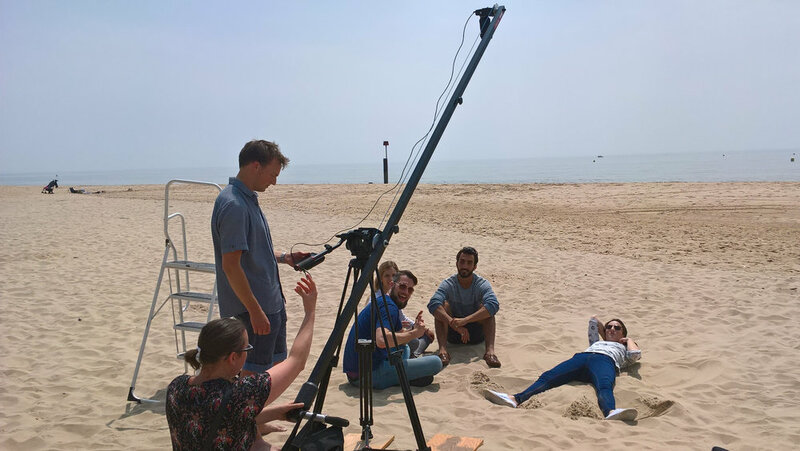 Plato Video, a Bournemouth based video production company, has collected an award from entrepreneur and Dragon’s Den star, Theo Paphitis. Charles and Harry Fynn of the family owned video firm, travelled to the International Convention Centre in Birmingham to accept the award at the #SBS Event 2016, which was held on 12th February. The event was a culmination of the retail magnate’s regular Small Business Sunday (#SBS) event on Twitter, where every Sunday he invites small businesses to tweet him between 5pm and 7.30pm with a description of their business within the 140 character limit, which must include the important hashtag #SBS. The following Monday, Mr Paphitis reviews the entries from across the country and selects his favourite six to retweet to his near 500,000 followers. Plato Video’s (@PlatoVideo) successful entry was retweeted in June of last year, with the business since enjoying plenty of perks from joining the #SBS winners community, including an invitation to the official winners event in Birmingham. Charles Fynn described the day as “a truly inspirational event for small businesses”. “Not only did we have the opportunity to meet Theo personally but the event he organised and hosted was fantastic. We networked with like minded businesses and gained invaluable insights and advice from the Question Time panel that was arranged. Anyone with a small business should give #SBS a try”. Plato Video captures and produces a variety of video content including promotional corporate videos and event highlight montages, with Harry Fynn offering his own contemporary and vintage style wedding videography as part of the business.